There is a story in India about an old yogi who spent his life meditating in the mountains. After years of practice, the yogi developed all kinds of powers and special abilities, but in the end, he realized something was missing. The Teacher smiled and replied, “Leave your body, and be reborn in my family. When you are reborn in my family, then I will teach you how to live.” The old yogi bowed and accepted the Teacher’s command. Later that day, he consciously left his body. Months later, the wife of the Teacher’s son gave birth to a baby boy. The Teacher immediately recognized the soul of the yogi in his grandson, and he demanded that the boy be brought into his presence right away. When the baby was brought forward, the Teacher smiled and sang a song. 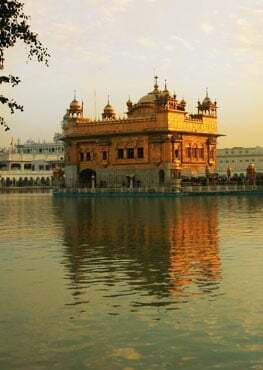 The Teacher in this story was the third master of the Sikhs, Guru Amar Das; And the song he sang to teach the reincarnated yogi how to live life is the Anand Sahib, the Song of Bliss. The purpose of the Anand Sahib is to help a person develop the capacity to live every breath in tune with the soul’s reality. Suffering comes when we spend our life chasing after the fantasies of the mind instead of serving the God within. The Anand Sahib teaches us to live in the world without losing touch with our Divine Identity. The Anand Sahib has 40 verses, and each verse relates to the key lesson a person needs to learn for the first 40 years of life. The thought is that with each year from birth until 40, a person is developing and maturing. At every stage of development, there is a unique lesson on how we anchor ourselves to our Spirit instead of being trapped in time and space. When a person learns these lessons, then bliss naturally happens. Bliss is that state where you are you no matter what pressure you are under. When you can deliver your Self, your Truth, your Destiny, in the face of every challenge and obstacle, then you know what bliss is. Then you are truly happy. My prayer is for all of us to live in tune with our higher selves and vibrate the frequency of our own divine nature so that we can live in conscious communication with ourselves and our world. May we live always in and by God’s Grace. 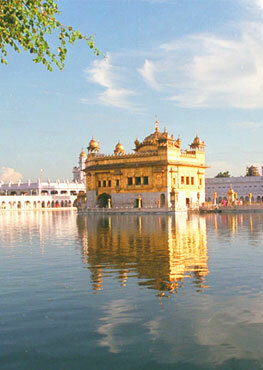 You can also hear the audio version of this story on SikhNet (along with many other stories!). To purchase Guru Amar Das's Anand Sahib, as translated into English by Ek Ong Kaar Kaur Khalsa, visit www.sikhdharma.org.